With the time change we overslept and woke up as church was starting. Oops. Cows needed feeding and groceries needed getting so we divided and conquered. 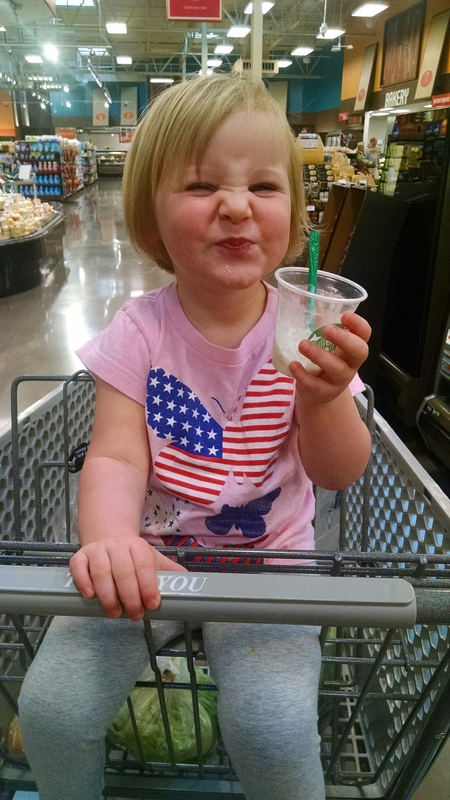 Lynn took Caroline yo the farm and I took my brain-twin Claire to the store. 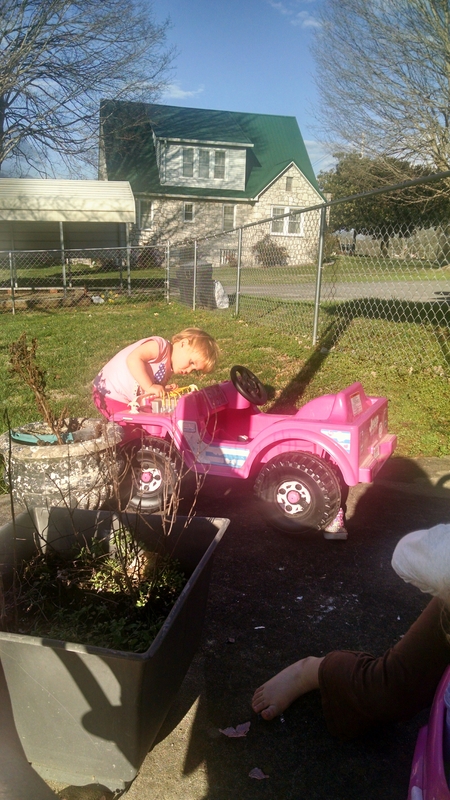 This afternoon I was watching both girls play and Claire was “fixing” her Jeep. Maybe a mechanic one day? Then I get distracted by something, and a few minutes later I hear Claire crunching on something with a little dribble going down her chin (ew). At that moment, I remembered that I had forgotten to get them a snack . Claire was greatly amused by my reaction and quickly wiped her drooling mouth on my sleeve while chuckling to herself. Then she turned around and ran off. Ew. Kids. Gotta love em. Previous Painting and picking up.